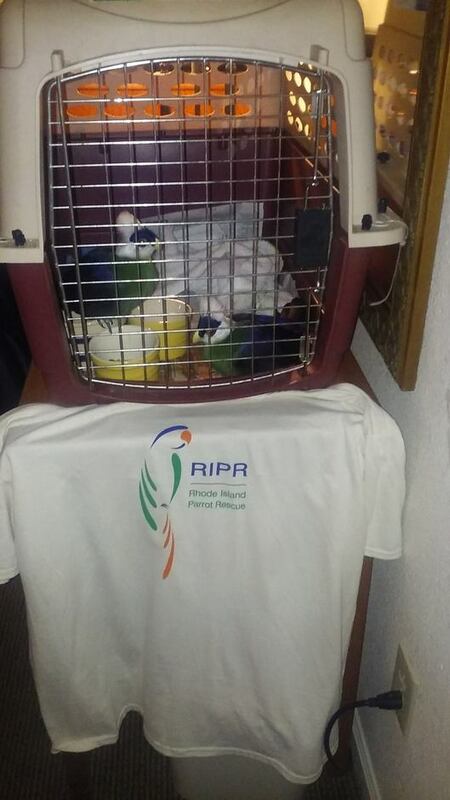 On September 16th 2016, RIPR took in over 100 birds from a parrot seizure in Weston CT. 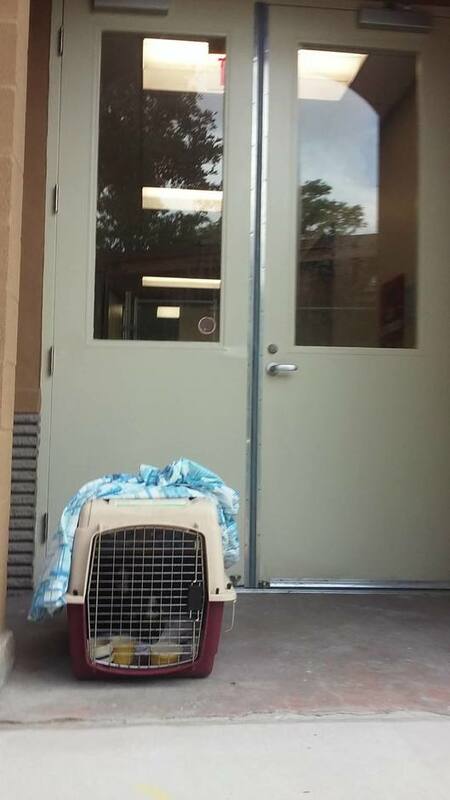 The birds did not have adequate food or water and were being housed in deplorable conditions. Many perished before they could be rescued. This is the story of a pair of White-crested Turacos and a special volunteer who took them under her wing. Kate Stewart and her husband Jim recently boarded their own birds and drove the pair from Massachusetts to the Houston zoo so they could have a better future. A fellow hotel guest cackling outside our hotel room set the Turacos off and they started to make their alert sound; first time they sounded the entire trip! This was taken at the Howard Johnson's hotel just before we left for the Houston zoo Saturday morning. At 9:30am Saturday, Hannah, a zoo staff member, met us at the back of the vet clinic, I took a shot of us waiting to get into the vet clinic - we had made it! Once inside, the keepers and Hannah commented about what good condition the birds were in and I did what I was trained to do- I gave them all the information I knew about these Turacos. 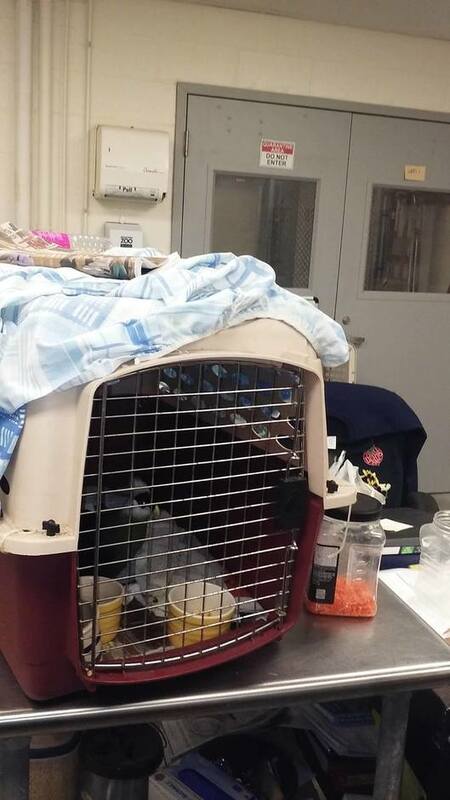 Here is the final photo of the Turacos at the vet clinic about to go into quarantine. If you zoom in you can see that the Turaco's crest is slightly back which means he knows something is up... I felt bad for leaving them. Since the night they came to RIPR, and I bit off pieces of apple for them to eat, I have watched over them. 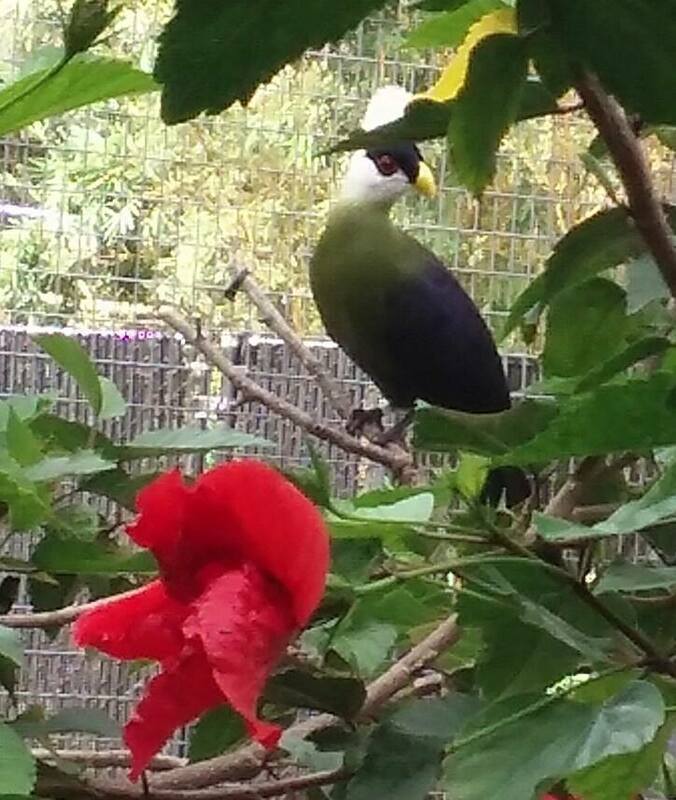 I was delighted when one of the first places Hannah took us was to see one of the zoo's offspring of their 25 year old male white crested turaco, which had passed last fall. Hannah reflected that he had a good life at the zoo and 25 years is a good life span for a turaco. This is the offspring, which is in wonderful condition and had a big enclosure with natural plants. We perused the bird exhibits and got to see very healthy birds is wonderful enclosures. These Turacos are lucky to be at the Houston Zoo. 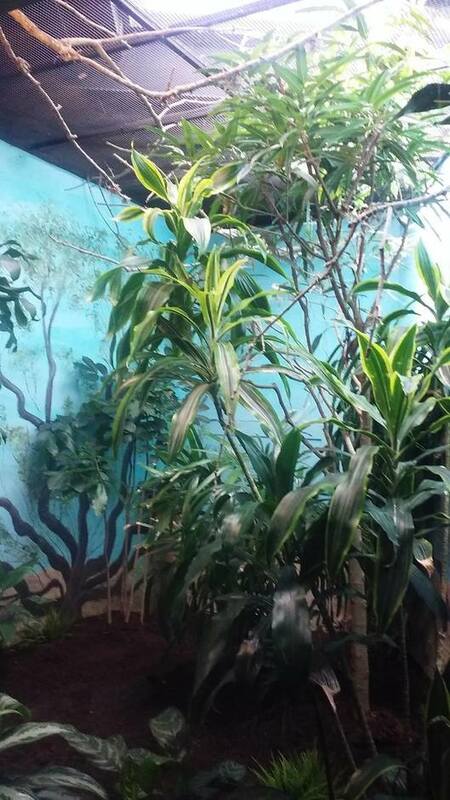 Based upon the turacos behavior, they have many enclosures and habitats to choose from. This is a typical enclosure in the bird house. I cannot wait to see which one of the many habitats these White-crested Turacos will choose. These beautiful creatures will never go hungry and will always have lots of space. This is a great collaboration with the Houston Zoo and RIPR!